A good investment plan not only helps you achieve all your financial goals but also ensures that your portfolio is adjusted to suit each phase of your life, taking into account your family structure, income, lifestyle and risk appetite. That is why each family requires a unique financial plan and a customised portfolio management strategy. On the other hand, most of us pass through a similar life cycle when it comes to managing our finance. People generally start earning when they are in their 20s, retire in their 60s and move from one phase of life to another after every 10 years. Therefore, we will tell you how best to manage your portfolio in sync with your age group. But before reading the recommendations, you should get familiar with the ground rules. Our chart (Returns From Different Assets In The New Millennium) shows how equities have given a higher annual return of 11.9 per cent over a period of 18 years compared to gold and fixed deposits (FDs). During this period, gold has given an annual return of 11.1 per cent. In fact, it is considered a hedge against an asset like equity and should be used just as a hedging tool. Your investment in gold should ideally be limited to 10 per cent of the portfolio. Considering that the average annual retail inflation stood at 6.63 per cent over the past six years (till December 2017), returns from FD at 7.88 per cent just moved around it. "Inflation is the biggest villain when it comes to eroding the value of your money. But an investment in equity can combat inflation effectively and give you real returns in the long term," says Kumar. If you are planning for long-term life goals, you should have higher exposure to equity so that you can generate superior, inflation-beating returns in the long term. If you fail to align your investments with specific life goals, you may not be able to meet all of them in the long run. Such random approach will also hinder you from getting the big picture - how well you are progressing in pursuit of your life goals. Without clarity, it is highly likely that you will overspend on a few goals and may not have enough funds for others. "The nature of investment, its importance and the timeline differ for each goal. The type of investment planning required to send your child to university in 15 years will be different from what is required to purchase a car in three years," says G. Pradeep Kumar, CEO of Mumbai-based Union Asset Management. Therefore, you should start investing separately for each major goal, which will also give you a sense of control over your finances. You can invest based on the time horizon of each goal. That way, if there is any course correction needed for one investment, others will not be affected (check Asking Rate Of Investment For Your Life Goals). Take Off In Your 20s: Investment is the last thing on people's mind when they start their first job. 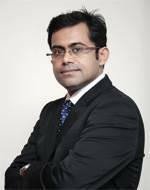 "Peer pressure leading to higher spending, access to easy credit resulting in overleverage, no clearly defined goals and a desire to earn quick money or impatient capital are the top challenges that we see in this age group," explains Vishal Dhawan, Founder and CEO of Mumbai-headquartered Plan Ahead Financial Planners. As most people in their early earning phase rarely create any big asset, it is better to start with smaller building blocks - buying financial protection plans such as life insurance and health insurance covers, which cost the least at this age. "When you are in your late 20s or early 30s, invest in a term plan with a 35-40 year horizon, taking advantage of the fact that the premium will be locked in at a low rate for the entire period," says Manish Jain, a certified financial planner. If you are single, you must buy a health plan. In case you have dependent parents, you should also get term insurance. Else, you can wait till your marriage to buy your first term plan. However, if there is merit in big investments early in your life, you should find a way to do it. "Spending habits are formed very early on. Now that individuals have control on their money, good spending and saving habits formed at this stage will be of great value," says Dhawan of Plan Ahead. "By investing early, they can leverage the power of compounding and go through the ups and downs of financial markets in a far more sanguine manner due to their ability to hold longer term if there is no (immediate) need for the money." Long investment horizon also increases risk appetite and you can opt for 75-90 per cent investment in equities. "If there is no dependency or liabilities, people could be significantly overweight on growth assets like equities through diversified portfolios of mutual funds (MFs) and exchange-traded funds (ETFs). They can go for small exposures to fixed incomes for emergency/contingency goals," points out Dhawan. However, it is better to opt for systematic investment plans, or SIPs, and get familiar with regular saving and equity investment. To meet short-to-medium-term goals with a time frame up to three years, you can keep around 10-20 per cent of your investment in FDs and the rest in debt/liquid mutual funds. Grow Aggressively In The 30s: It is that phase of life when you have married and started a family. In the absence of significant assets to fall back on, the need for financial protection remains high. "This is when family life starts and responsibilities increase. So, both life and health covers should be in place by the time you enter the 30s. By the time you are in your late 30s, you should have an adequate life insurance cover (in case the initial amount is not enough). Moreover, each spouse should have a separate life and health cover," says Jain. When it comes to investment, people could face numerous challenges. "Instead of one cradle-to-grave job profile that characterised earlier generations, today's jobs come with risks of shorter tenure, technological changes and significantly higher stress levels. Such an environment makes it all the more necessary to adopt a prudent savings strategy in the 30s," says Ajay Bodke, CEO and Chief Portfolio Manager, Portfolio Management Services, at Mumbai-based Prabhudas Lilladher. With nearly 30 years of earning life left, people can invest aggressively and go for around 75 per cent equity exposure. "Individuals should first start a SIP focussed on equities, a mix of higher risk mid/small-cap-oriented well-managed portfolios combined with some allocation to a lower-risk, blue-chip equity portfolio," adds the Prabhudas Lilladher CEO. As income rises, tax management also becomes crucial. "Investment in a residential mortgage will enable one to get generous tax breaks both on interest and principal repayments. In addition to equity investments via SIP, annual investment in equities through equity-linked savings schemes (ELSS) should be pursued," says Bodke. You can keep around 10-15 per cent of your investments in FDs and debt funds to meet medium-term goals with a time frame of two to five years. For the short term, keep 5-10 per cent of your investments in liquid mutual funds or savings accounts. Balance Risks With Prudence In The 40s: This is the golden phase to maximise savings as you still have enough time to invest for the long term. It is the last window of opportunity to lock in a good health insurance plan at a reasonable cost and with lifelong renewability. You should also reassess your term insurance requirements and increase the cover, if needed, to bridge the protection gap. During this period, many competing priorities could make saving difficult. "One may find it difficult to balance investments and regular expenditure. 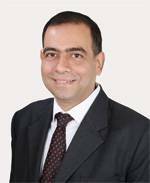 As income is nearing its peak at this stage, lifestyle expenditure tends to increase as well," says Ashish Shanker, Head, Investment Advisory, at Motilal Oswal Private Wealth Management. With fewer years of earning life left, one's risk appetite comes down and your portfolio should reflect the same. "At this stage, up to 60 per cent can be invested in equities with a long-term view to enhance returns. When given the time to grow, these investments can provide substantial returns and can be used for retirement corpus or other long-term goals," says Shanker. However, you should gradually bring down your equity exposure. Your investments to FDs, debt mutual funds and other fixed income products should rise to 20-30 per cent of your portfolio. For short-term and emergency needs, you can keep 10-15 per cent of your investment in liquid funds and savings bank accounts. As your income peaks, you need to focus on tax benefits. "Tax saving includes tax deductions for investments u/s 80C (ELSS, EPF, PPF, life insurance premiums) and 80D (deduction for health insurance premiums). Any individual taking a mortgage can also benefit from a dip in interest rates," points out Shanker. It is a good time to open a PPF account if you have not done it earlier as the 15-year lock-in period will coincide with your retirement. Best Practices In The 50s: The biggest responsibility at this stage is to help your children settle down. If you want to stretch your funds to pay for their expensive higher education or lavish marriage, you may fall short of your retirement corpus. You should keep in mind that in another 10 years, your ability to earn will get limited significantly and it will be a big risk to compromise on your retirement saving. It is always better to stick to your planned expense level. On the other hand, if the higher cost option for higher education looks extremely promising, consider an education loan and become a co-borrower to meet the shortfall. It will also instil a sense of responsibility in your child. However, the focus at this stage should be your retirement. "Building an adequate retirement corpus that addresses increasing lifespan is another important goal to be met in the 50s. As the saving time is shortened, it is imperative to maximise savings and investments if you have not started saving earlier and created wealth for yourself," says Anup Bansal, Co-founder and MD of Bengaluru-based Mitraz Financial Services. Going for maximum saving does not come easily. "The challenge that most people may face is lack of liquidity due to commitments such as regular and lifestyle expenses or home loan EMIs." People who have long-running savings can breathe easy, though, but those who find themselves falling short of their life goal targets should stick to adequate equity exposure. "The reason people cannot take too much risk is that when in their 50s, many goals are likely to be realised within a short period and adequate liquidity should be maintained for that purpose. The ideal asset allocation ratio should be 40:60 to 50:50 for risky versus safe assets" adds Bansal. Every extra penny saved at this stage is going to make a difference in your retired life. "Legitimate tax savings are important at any phase to maximise the take-home salary and build a future nest. But as incomes grow, incremental tax savings get reduced or become zero," cautions Bansal. Should You Invest Post Retirement? By the time you reach your retirement age, you should have settled all your obligations. From now on, you will mostly depend on your accumulated assets for regular income and also to meet any exigency. This is a period when health assumes a big significance. "There are health insurance products for retirees or people with lifestyle diseases although the cost can be prohibitive. One should read the fine print before purchasing any fresh health cover. Generally, there are a lot of exceptions," says Jain. You may also consider investment as the highest priority is to accumulate a corpus that will serve you throughout this period. "Even in retirement, people live for 20-30 years or more. To ensure that the corpus accumulated is available for a longer period, one may have to invest in equity as it is the only asset that can beat inflation and offer real returns. But the exposure to equity will have to be contained," says Suresh Sadagopan, Founder of Mumbai-based Ladder7 Financial Advisories. "An allocation of 15-40 per cent is suggested for retired people. The exact allocation will depend on several factors - their risk tolerance, the corpus size, survival period, goals which are there in the retirement phase, regular income needs and so on." 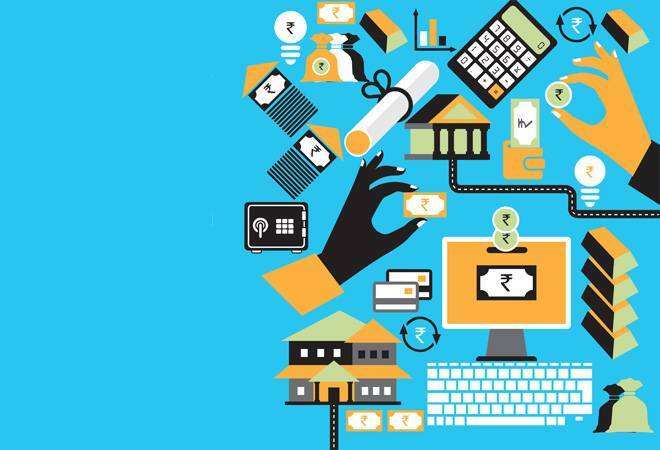 You may keep up to 50 per cent of income in fixed income products life FDs and bonds, and 10-20 per cent of your investments in debt funds, liquid funds or savings bank accounts as a contingency fund. "From a tax efficiency point of view, you may invest in debt MF schemes and initiate a systematic withdrawal. In this way, the effective tax will be around 5 per cent," says Sadagopan.